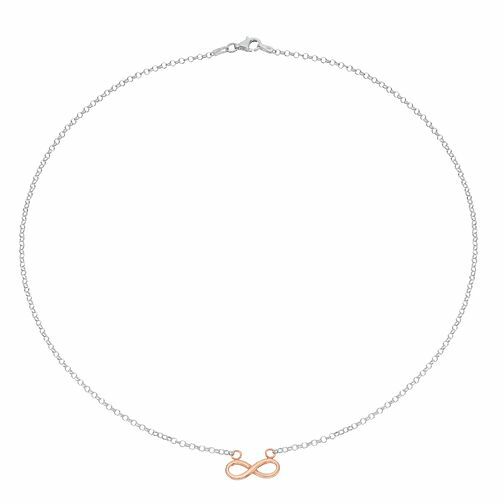 An attractive and minimalistic approach, this silver rose gold plated fine chain necklace is complete with a horizontal positioned infinity symbol charm. An elegant necklace to exude sophistication and style to any look. This necklace measures 18" in length.